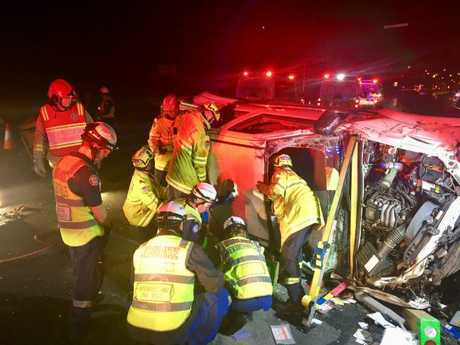 A man is trapped in his car after an accident on the M4 westbound at Homebush. The car was clipped by another vehicle two weeks ago. He suffered head and chest injuries. It took a split second, 31 years ago, for farmer Sam Bailey's life to change forever. 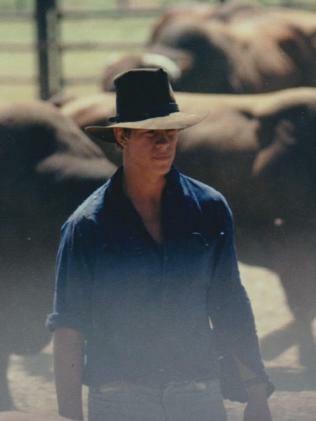 At the time, the Croppa Creek local was jackerooing on a cattle station in the Northern Territory. 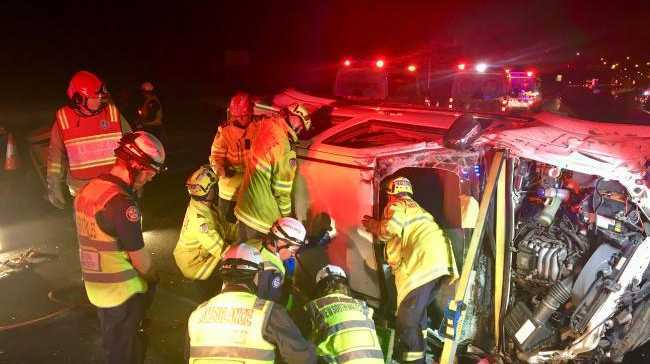 The 19-year-old climbed into a car with his mates and they hit the road - fast. People refer to these incidents as 'motor vehicle accidents', but they're not accidents. Accidents are random, whereas most of these incidents involve a degree of preventability. "To break the boredom of a Sunday afternoon, we decided to head out to a little place called Cameooweal," he recalls. "15 minutes later, I found out that life can change, it can change pretty quickly." Flying past blurs of Australian bush, the car experienced a tyre blow-out and rolled several times. "I came to, lying on the side of the road, I knew straight away there was something seriously wrong. I was completely paralysed and I had no sensation at all in my lower body," he says. "I remember my first words to a couple who had pulled up. I said to them, 'gee, I hope I don't spend the rest of my life in a wheelchair'. "I guess you could say I was preparing myself early on for reality." On NSW roads today 33 people will be seriously injured, some of whom will require a lifetime of treatment. It's the hidden toll behind the state's road statistics - normally dominated by reports on fatalities. Drivers and passengers who survive some of the most horrific crashes are often left with life-altering injuries or are permanently disabled. Sam Bailey and wife Jenny. Sam was left quadriplegic from a car accident. And at $3.5 billion the total cost annually of treating the injured from road traffic accidents even outstrips the high costs associated with fatal crashes. A report compiled by Transport for NSW's Centre for Road Safety Injury recorded 3727 fatalities on NSW roads between 2008 and 2017. What most don't know, is another 119,902 serious injuries were sustained on our roads over the same period. Of these injuries 32 per cent were classified as 'life threatening', and 58 per cent were a result of road incidents occurring in the Sydney RMS region. Speeding is the leading cause of motor vehicle accidents, accounting for 43 per cent of NSW's road toll and 23 per cent of serious injuries. Sam's 20th birthday in hospital. 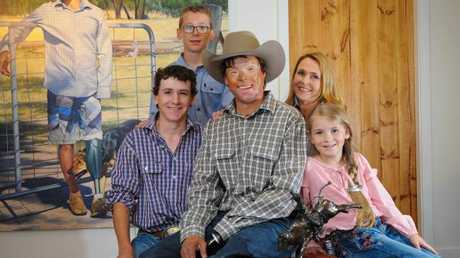 About 20km out of Dubbo, former rodeo rider Jamie 'Dodge' Manning feels people don't truly understand the consequences of car crashes. Dodge was in a gut-wrenching car wreck four years ago, on a road he drove every day. Sam Bailey before the accident that left him a quadriplegic. An oncoming truck started driving into his lane, so he swerved, colliding with a tree at 80km/h. His car burst into flames. "I was trapped, fighting for life, drifting in and out of consciousness," Dodge says. Pulled from the burning wreck by passing motorists, Dodge was rushed to hospital, where he spent seven weeks in a coma. "I had burns on 40 per cent of my body, my leg was burned right to the bone. My fingers were burned black and my face was pretty much burnt off," he says. Jamie Manning was almost killed in a traffic accident. Pictured here with his family. Dodge's wife Karen made the devastating decision to allow doctors to amputate his leg and fingers, giving him the best chance of survival. Miraculously, he pulled through and continued to beat the odds, recovering faster than doctors predicted. Transport for NSW says the total cost of fatalities in 2017 was estimated to have cost the community around $2.8 billion but the cost of all serious injuries averaged over the same period was around $3.5 billion. That's around $1,000 per annum for every man, woman and child in the state. And according to the State Insurance Regulatory Authority in 2017 about $1.38 billion was spent on 3,000 very severely injured people in motor vehicle accidents, an average of $460,000 per person. 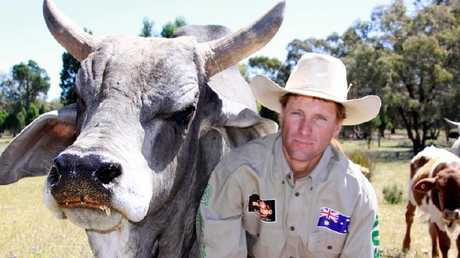 Jamie Manning was a rodeo rider before the accident. 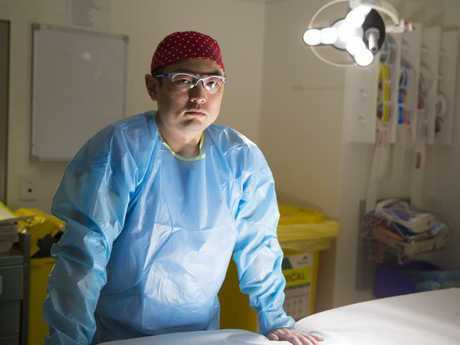 Head of Trauma at Westmead Hospital Dr Jeremy Hsu treats road-related serious injuries on a daily basis. According to the surgeon, these trauma patients often sustain a combination of different injuries and require urgent and expensive treatment from various specialist teams. "These patients are likely to require care in the intensive care unit which can be very expensive, and multiple operations … the most costly are the complex brain and spine injuries, they bring potentially permanent problems and disability," Dr Hsu says. "The biggest cost is the opportunity cost to the patient and family. After a serious car crash, you can't work, you may have reduced function… families are impacted as they have to take time off work to care for the injured." "People refer to these incidents as 'motor vehicle accidents', but they're not accidents. Accidents are random, whereas most of these incidents involve a degree of preventability. They usually occur because someone was speeding, intoxicated or fatigued. So we refer to them as 'motor vehicle crashes,'"Dr Hsu adds. Westmead Hospital surgeon Dr Jeremy Hsu. 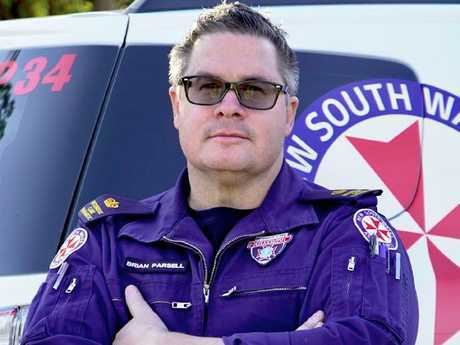 Chief Inspector Brian Parsell has worked as a paramedic in Sydney for 28 years. Throughout his career, he has responded to devastating, gory and unfathomable scenes. "Drivers believe they are invincible, and as a paramedic, I can confirm they are most definitely not," Parsell says. "The reality is humans by nature genuinely believe it won't happen to them, that it'll happen to someone. People become complacent." In the past year, NSW Ambulance units responded to 6702 incidents involving a car-on-car collision. Units responded to 2424 incidents with trapped patients, 1238 incidents where the patient was not alert, and 688 incidents involving multiple patients with injuries. "When you're responding time after time to accidents that potentially could be avoided, it just seems a senseless waste of life. "And the cost is huge … people are left with the damage from these injuries for the rest of their lives." Brian Parsell Chief Inspector, Duty Operations Manager Western Sydney Zone for NSW Ambulance. For Sam, his recovery is ongoing. He has managed his injuries over the years to the point of being able to carry out many tasks on the farm - an amazing achievement given the accident left him a C6/C7 quadriplegic and paralysed from the chest down. "As a result, I've also lost bladder and bowel control and have a total inability to regulate my body temperature," he says. "Now, I've only got 45 per cent of my lung capacity left." Sam soldiered through months of tough recovery, desperate to leave the spinal unit and return home to the family farm. "I thought once I got to go home and back into that familiar environment, life would return to some normality, but I was horribly, horribly wrong," the 50-year-old says. 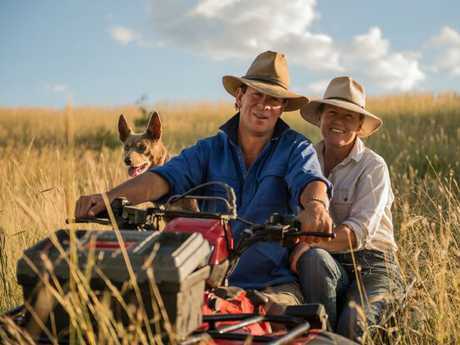 "Mum and Dad were only part way through widening the doors, building an accordable bathroom and installing air conditioning … I had no way of getting out to the farm, I had no car, and I was housebound … that's when it hits you. "You have to learn to live your life on four wheels, you are no longer that bulletproof bloke who is fiercely independent. You get used to people staring at you and not knowing what to say. You get used to asking for help." 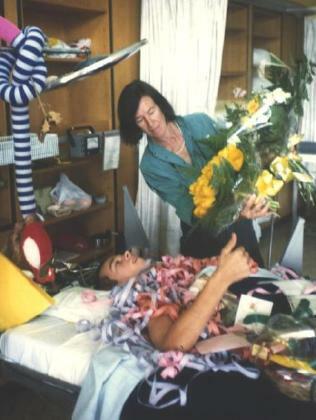 Decades later, and Sam and his wife Jenny travel the country educating Australians about the devastating impact these injuries have on individuals and their families. A key message of his is that serious injuries caused by motor vehicle accidents affect more than just the individual. "My mum and dad really suffered financially because of the accident. 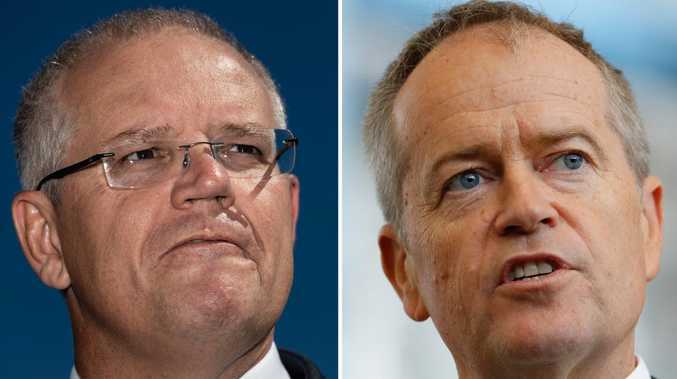 It wasn't their fault I didn't have my seat belt on, or that I chose to climb into a car with this bloke that wanted to break the speed of sound … it cost a lot of money." Despite his incredible positive attitude, Dodge admits experiencing dark days. "One day I remember I was home and the sheep got out. I was trying to patch a hole in the fence. It took me hours to patch a 30cm hole. I was in tears just trying to work it out," he says. "The community really rallied behind me, organising fundraisers that helped us make our house repayments and put food on the table. Without this and insurance, we would have lost our house and who knows what else." Like Sam, Dodge is committed to making change. He travels the country sharing his story and fighting to reduce the number of fatalities and serious injuries sustained on our roads. "It's not just the impact it has on you, it's the impact on your family, your friends and the community around you. "What hits home is seeing my wife and kids go through what I've gone through … I never thought something like this would happen to me."